Then it all goes off the rails, and not in a good way. The supernatural elements feel scattershot, the commentary on family falls by the wayside, and the ending attempts to grasp ahold of profundity that isn’t really there anymore. It’s baffling in a disappointing way even though it’s effective on a visceral level. By going to the wild places it does in the last act, the film in fact gets more conventional (in a negative way) rather than less. It’s still great. 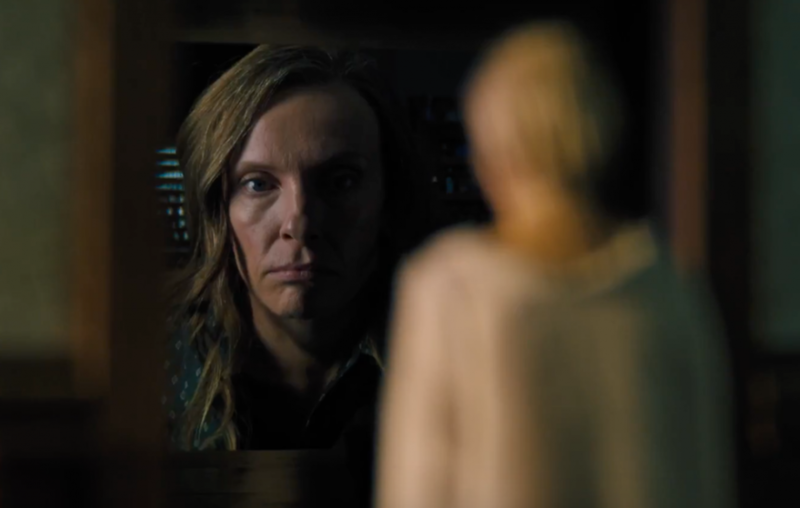 Toni Collette is a force, and the first act boasts one of the most memorable film scenes in recent memory. The staging of the scene, the choice of focus, the editing, the sheer dread seeping into every single pore…it all comes together to create something that is equally soul-crushing and horrifying, something that cannot be described so much as felt. It’s brilliant, and so is a lot of the film. It’s a shame it doesn’t quite land upright. i did find the last 10-15 minutes mildly anticlimactic. but i understand the need to tie up the movie in an outright demonic way, as this was technically produced as a horror movie. other than that, i was, and still am, deeply perturbed by this. not because of severed body parts (severed body part cinema was a genre sometime in the mid 00s), but because of the family dynamics. it made me so freaking sad, man. whenever they lashed out against one another, either verbally or in their mannerisms, it was another wound inflicted. and that sequence of the car accident is going to stay with me for a long time. not only for how shocking it was, but for the profound sense of guilt that assaults the poor kid. you can practically touch it, its that thick and in the moment. Yup exactly, the horror came from sorrow and guilt, and it was fascinating to watch. The car accident…man. Agreed about both. Didn’t take too much away from it being a great film/Toni being phenomenal. I’m too chicken to go see it, but I loved reading your review. Thanks! It’s a good one, but yeah not recommended for everyone.